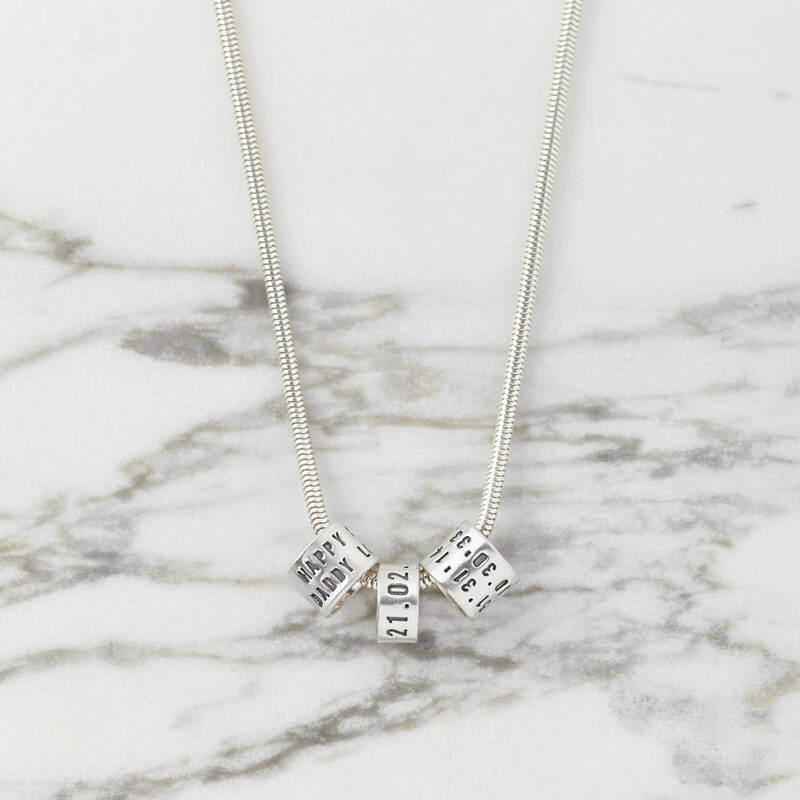 Tell their story through the pure silver links on this solid silver Storyteller Necklace. The ultimate personalised gift. One wide link is included. We can stamp up to 30 characters over two lines. The narrow links can be stamped with anything up to 15 characters (including spaces) on one line. Hand made to order, this beautiful Storyteller Necklace is a wonderful way to remember special memories, dates and locations. It makes a perfect gift for a loved one. Additional silver links can be added to the necklace in the future, these can be purchased on our product pages. 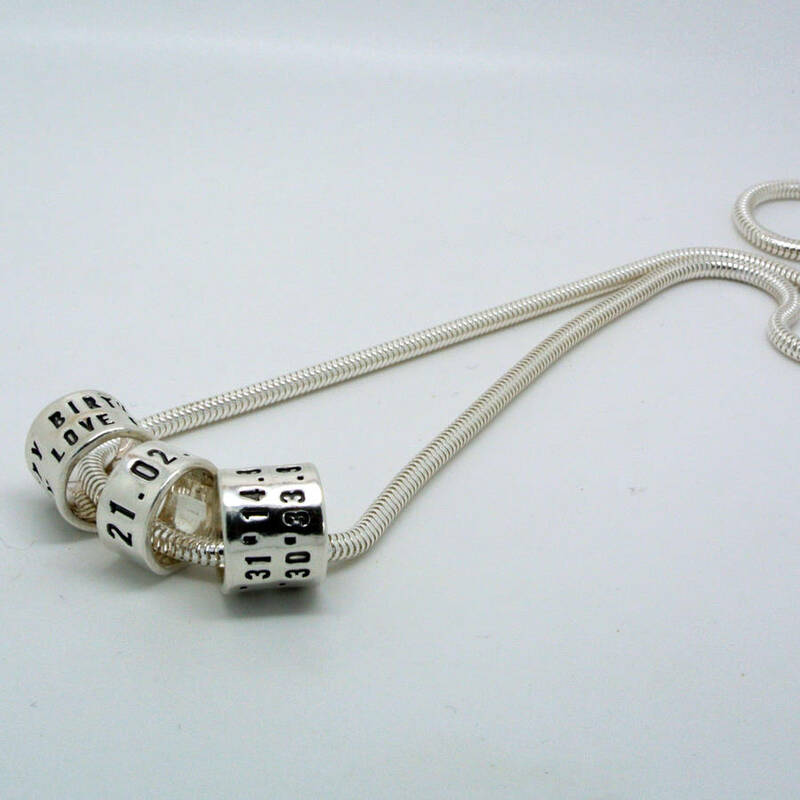 One wide (1cm x 1cm) silver link is included in the price, additional wide links (1cm x 1cm) or narrow links (0.5cm x 1cm) can be added to the necklace by using the menu below. The wide links can be stamped with anything up to 30 characters (including spaces) per silver link (15 characters per line, 2 lines per link). The narrow links can be stamped with anything up to 15 characters (including spaces) on one line.